YOU DID IT! 200,000 YouTube Subscribers @adafruit @youtube « Adafruit Industries – Makers, hackers, artists, designers and engineers! 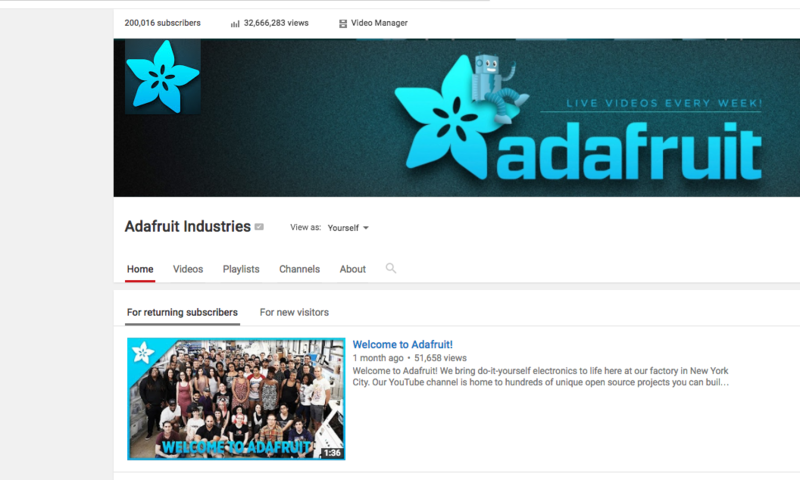 We now have over 200,000 subscribers to our Adafruit Industries YouTube Channel! Thank you to our awesome Adafruit Community for creating, watching, sharing, and subscribing.